If your liner is too large, and hangs over the side of the trash can, it is wasted money and plastic. A too-small liner will fall into the can. 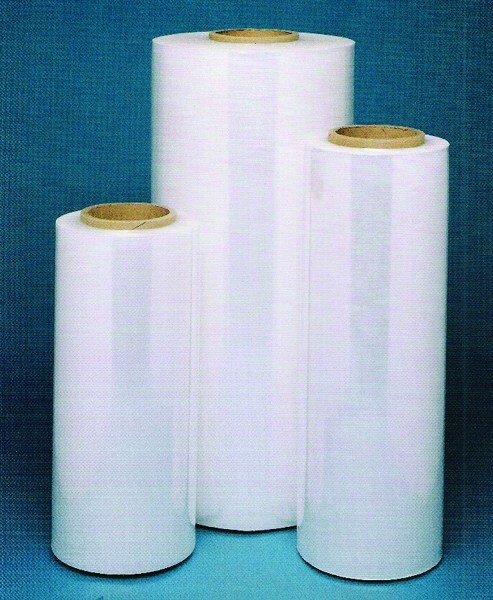 There are two types of plastics used for trash can liners – linear low density and high density. Both have specific applications where they are more suitable. Linear low density liners provide an excellent combination of strength, puncture resistance and tear resistance. They are ideal for sharp objects and where transport conditions are tough. ‘Mil’ is the term used to measure linear low liners. Liners typically range from .35 to 4.0 mil. 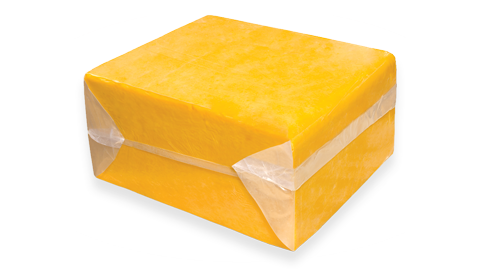 High density liners are ideal for paper and non-sharp objects under standard conditions. 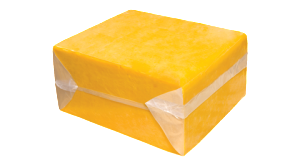 These liners have a low tear resistance, but use less plastic than a high density bag and therefore are more economical. High density bags are measured in ‘microns’. 25.4 microns equals .001”. Liners typically range from 6 to 24 microns. 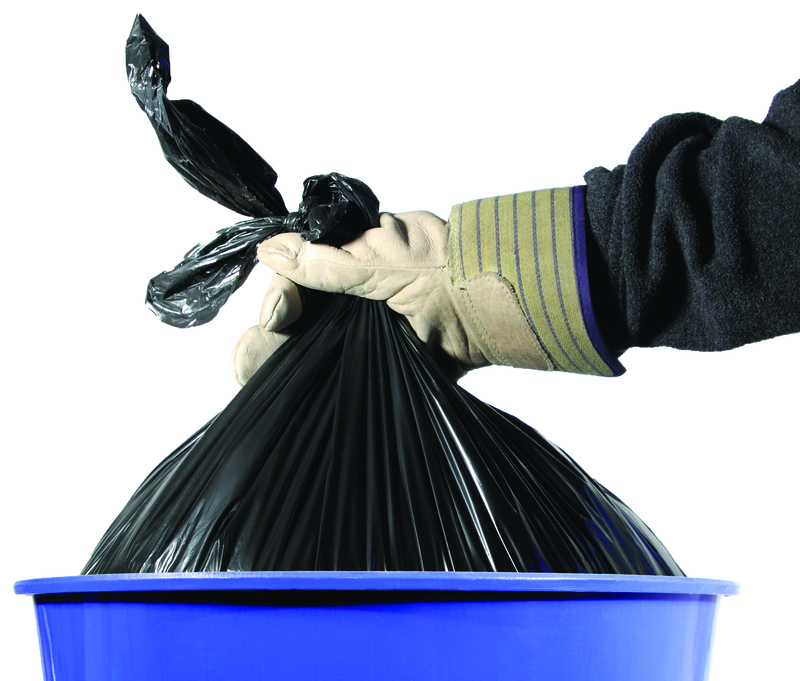 For complete details, see our Trash Can & Liner Selection Guide. Water Savings and Effective Cleaning? Full Steam Ahead! Steam: this is not really a topic most would like to think about as the temperature climbs. However, it is a topic you may want to take note of though for the next few moments, as it could affect your bottom line this summer and beyond. Steam cleaning is a powerful method used to combat germs and to sanitize surfaces in domestic, commercial, and industrial spaces. For food operations, there are several key aspects of steam cleaning that are ideal for industrial settings. First, steam cleaning is effective; it kills germs and bacteria. It also attacks grease and cleans surfaces thoroughly. Second, it is cost-effective. Using steam means less chemicals in your plant and it means merely adding water to your steam cleaner to effectively get the job done. 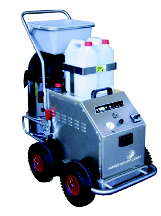 Third, the right steam cleaner can reduce your manual labor costs. If you would like to know more about steam cleaners, and even some currently available close-out specials for your operation and for information on the potential uses and efficacy of steam cleaners, contact our Processing & Flow Control Department at 800-826-8302. 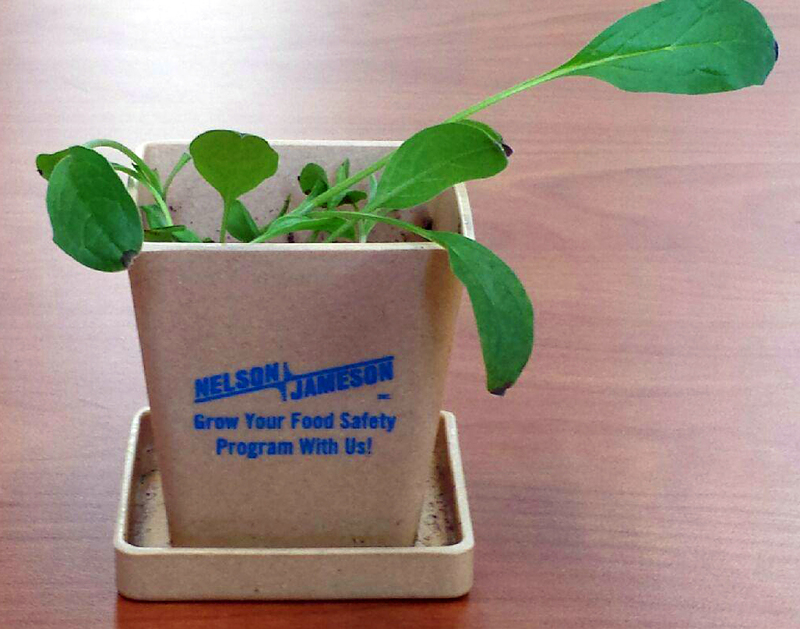 Nelson-Jameson is hitting the road later this month to take part in the International Association of Food Protection (IAFP) Annual Meeting July 25-28th at the Oregon Convention Center in Portland, Oregon. You’ll find we’re firmly planted in all parts of your plant when it comes to food safety and other needs for your food operation. This year stop by to say “Hello” to Jess, Fritz, Barb, and Mat in Booth #422 and check out an array of products and services including: color-coded products, metal-detectable products, allergen testing supplies, MadgeTech temperature data loggers, 3M Food Safety and Personal Safety products, Vikan UST brushes, tank cleaning technology, and much more! Be sure to ask for your free potted plant kit giveaway when you stop by to learn how Nelson-Jameson can help you grow your business (check out “Fern Armisun” – pictured). We’ll look forward to seeing you in beautiful Portland!